With those words Mary speaks a truth about our lives, a truth that at some point we all experience. There comes a day when the wine gives out. The glass is empty. The party is over. On that day life seems empty and dry. There is no vibrancy or vitality. Nothing is growing or fermenting within us. Our world is colorless and tasteless. The bouquet of life is absent and we are living less than fully alive. Mary’s words hold before us some some serious questions and wonderings. Where has the wine of our life given out? What relationships have run dry? What parts of us remain empty? 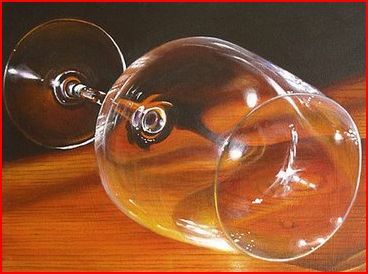 Regardless of how it feels or what we think about it, the day the wine runs out is the beginning of a miracle. Christ does not simply refill our glasses. He transforms our lives, turning water into wine. It is, after all, the third day, the day of resurrection and new life. That which was colorless is now vibrant red. That which had no taste now tingles the tongue. That which had no fragrance now has a full bouquet. That which had no life is now fermenting, active, and alive. Every time that good wine is poured our lives are changed and transformed. We are brought “out of error into truth, out of sin into righteousness, out of death into life” (Book of Common Prayer, p. 368). I can’t tell you how that happens. I don’t know how it happens. I only know that it does happen. I have tasted the good wine. I have experienced the miracle at Cana in my life and seen it in the lives of others. I have experienced moments when death is turned into life, sorrow into joy, and despair into hope. I have seen that happen in the lives of others. I have been surprised by fear that was transformed into courage and seen people do things they never thought possible. I have watched empty lives be filled back up. I know of broken marriages that became vibrant and life-giving. “They have no wine,” Mary said. But they will. The miracle always begins when the wine gives out. This sermon was based on John 2:1-11, the Wedding at Cana. The collect and readings for the day, Epiphany 2C, may be found here. This story also shows Mary as the Jewish mother – His time has not yet come and she still says, “Do whatever he tells you.” She and He know their very special relationship. Yes, she is always directing us to Jesus and interceding on our behalf. This sermon has helped me make it through the week. Empty jars, indeed. Michael, I am glad the sermon was helpful and pray that you may soon know yourself to already be filled with the wine of God’s life and love. 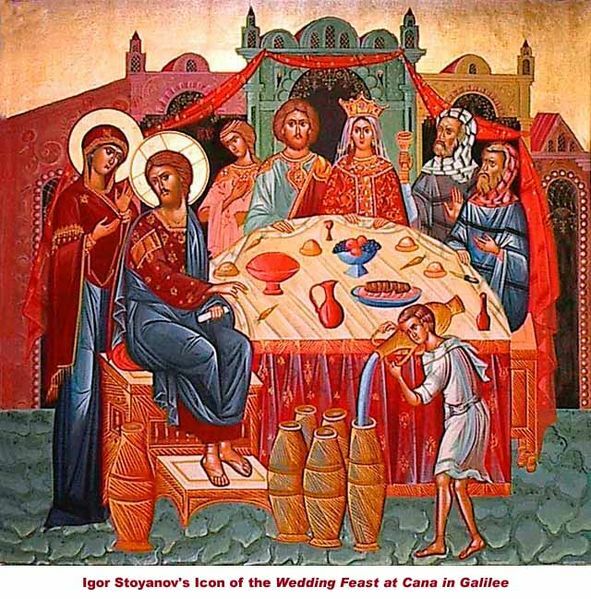 Praise God, Michael for your wonderful interpretation of that well known miracle at The Wedding in Cana … and for bringing that miracle into our daily lives! Jesus is indeed still the miracle-maker, who reveals his glory, so that we might believe in him! Thank you Paul for reading my blog and for your encouraging words. I hope in this Season of Epiphany you taste the “good wine” and life is filled to the brim. A beautiful, profound sermon, Father. May the wine of Cana fill you to the brim and overflow with new life. Bless you Father Mike! I’ve just finished writing my sermon for Sunday and came across yours. New wine indeed! I’ve been running low on the old wine for a while due to Chronic illness & Cancer. It’s time I asked for the ‘New wine’ to fill up my own jars. Thank you so much. Glenys, I hope the jars of your life overflow with the good wine of God’s healing and strength.